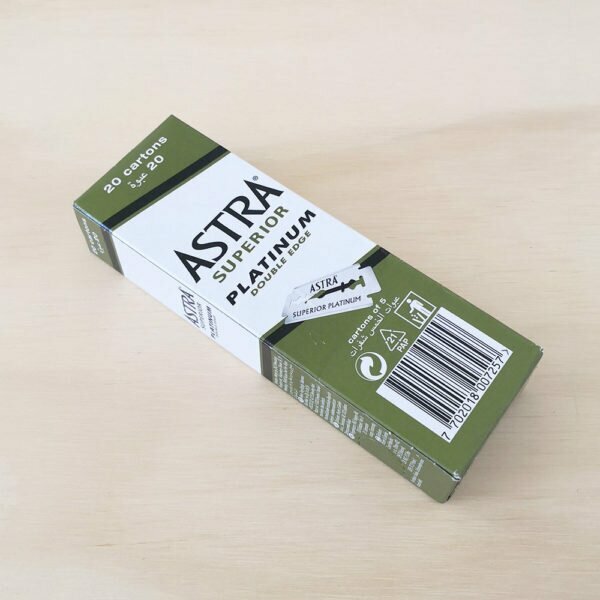 Fits Astra blades, available in plastic-free packs of 100, here. 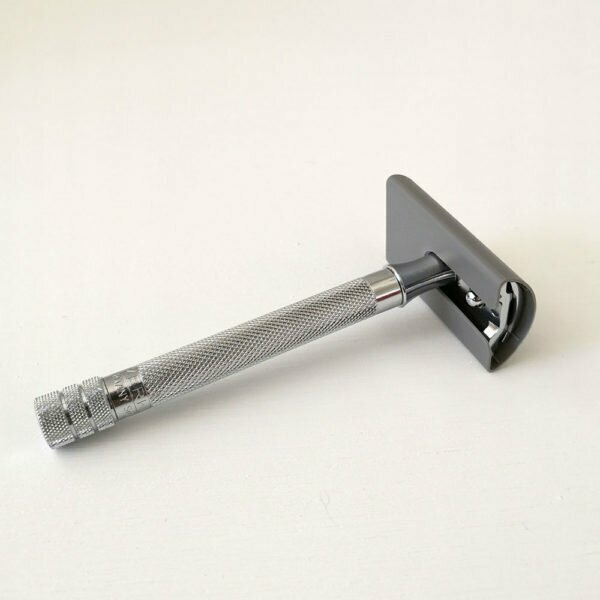 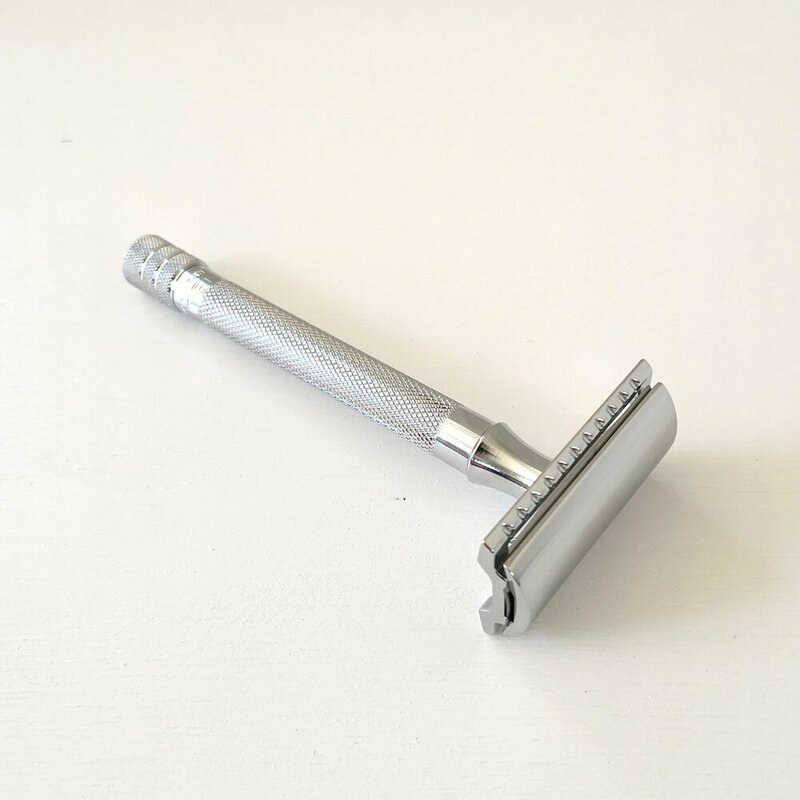 Instead of writing a description, I’ve gone and written a blog post about “How I fell in love with my Merkur safety razor“. I hope you find it helpful and informative! 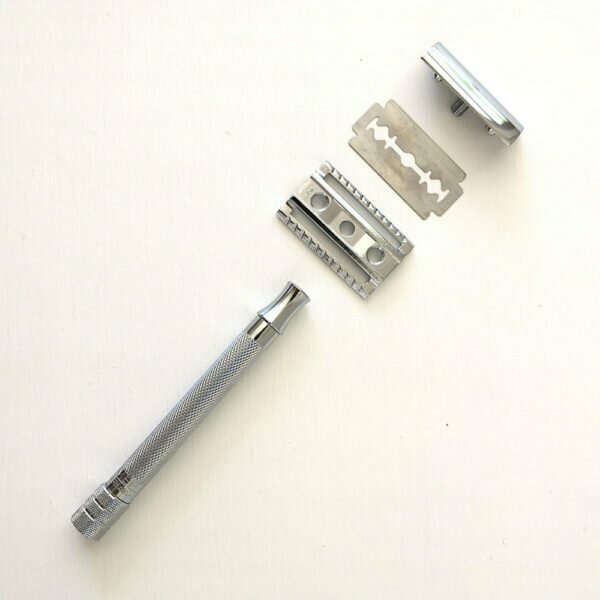 Whilst it was a little intimidating to use this product at first (cue pictures of cut-throat razors slashing skin), I would highly recommend it. 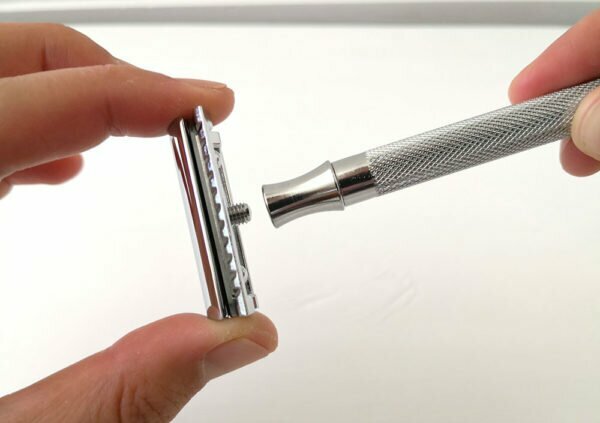 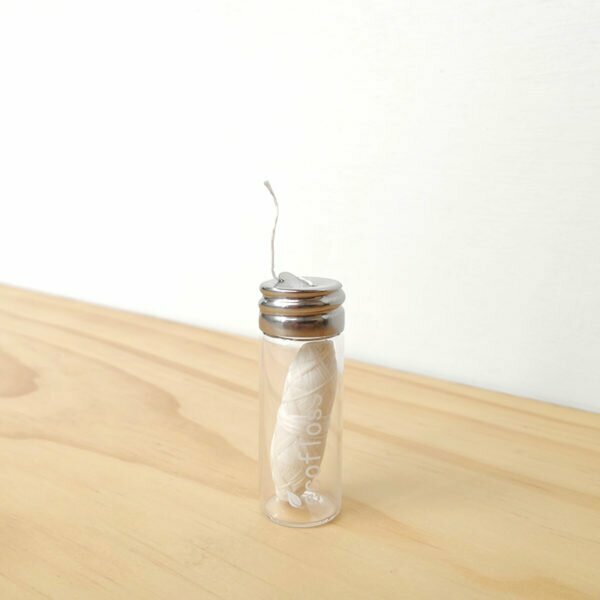 It’s a great weight, incredibly easy to use, and gives you a really clean shave. 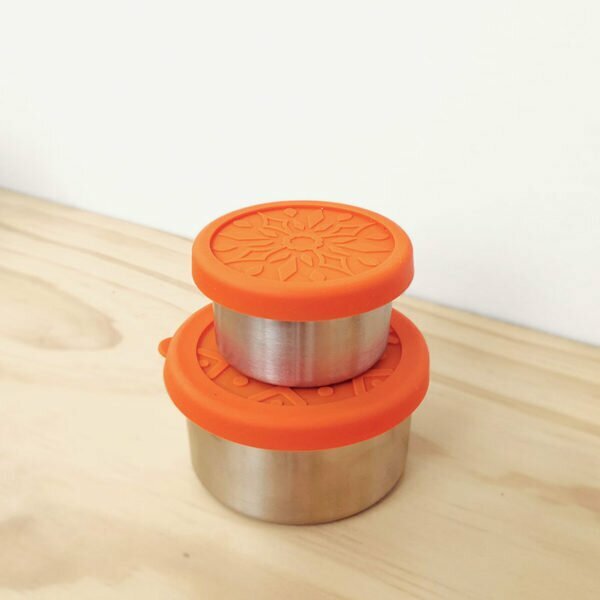 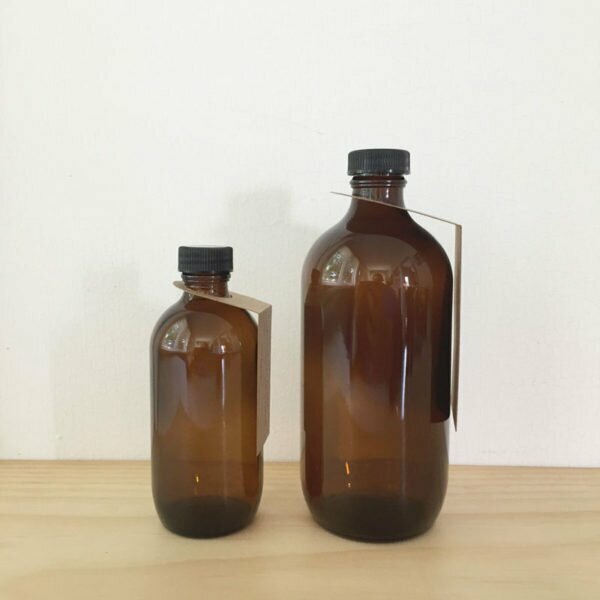 Even better, it’s a sustainable product that will last.